You’re listening to Reach MD and I am your host, Dr. Jennifer Caudle, and with me today is Dr. Vincent Lo Re, Assistant Professor of Medicine and Infectious Diseases and Epidemiology at Penn Medicine. Today we will be discussing hepatitis C, an area that Dr. Lo Re has extensive knowledge in. Dr. Lo Re, welcome to the program. Thank you Dr. Caudle. I am happy to be here today. So, let’s begin. If you could just discuss a little bit about the current screening guidelines and recommendations regarding hepatitis C, I think that would be very helpful. To begin with and to understand the current screening guidelines and recommendations, I do think it’s important to understand that data from the Center for Disease Control and Prevention has suggested that about 1% or 2.7 million Americans have chronic hepatitis C, although that estimate may be as high as 4 to 5 million, given that many of the estimates did not include people who are institutionalized or in prisons. One of the things that the most recent CDC study showed was that people born between 1945 and 1965, the so-called “birth cohort,” had about a six-fold higher prevalence of chronic hepatitis C than any of the other age groups. As a result, in 2012 the CDC recommended that all persons born between 1945 and 1965 undergo at least once, hepatitis C antibody testing, again, because the prevalence in this age group is so much higher than in other age groups. In addition, risk-based screening has also been recommended and continues to be recommended, so persons at increased risk of hepatitis C are those who have exposure to blood or body fluids, so particularly persons with a history of injection drug use, persons with histories of blood transfusions, or organ transplantation before July 1992 when the Red Cross first implemented hepatitis C screening of the blood and organ supply, those who are on hemodialysis, given the manipulation of blood, children who are born to mothers with hepatitis C, and certainly those with HIV infection given the high prevalence of chronic hepatitis co-infection in this group. I would just say that one of the critical aspects of the revisions in the hepatitis C screening were really based on the fact that only about half of hepatitis C infected individuals are actually aware of their hepatitis C status, so because hepatitis C really has often no symptoms, most people are unaware and undiagnosed until really efforts at screening through the new CDC guidelines that were implemented in 2012 are really aimed at improving that. How do you and your team really approach patient care for those with hepatitis C and with that, what does treatment really look like for these patients? At Penn Medicine we take a multidisciplinary approach where we have many different healthcare providers who are involved in our patient’s care. We not only involve physicians, nurse practitioners, nurses, but also medical assistants to help us assist with prior authorizations for the new direct-acting antiviral drugs. We have pharmacists that we collaborate with to evaluate medications and perform pretty detailed medication reconciliations, given that many of these new direct-acting antivirals have pretty significant drug interactions, which could lead to some pretty severe adverse effects, and so by having pharmacists review all the patient’s medications, we can make sure that we are really tailoring the treatments specifically to the patients. We also have dieticians and behavioral counselors, given that often non-alcoholic fatty liver disease may be concomitant with chronic hepatitis and other mood disorders or substance use is also quite prevalent, and so having access to these other healthcare providers is often very, very helpful. At the outset of our visits, typically we really try to do pretty thorough ascertainment of a patient’s history, what other therapies perhaps for hepatitis C they have received, history of past substance use, and other prescribed and over-the-counter medications. Much of the initial visit is really aimed at education because many of the patients that we see often don’t really know anything about hepatitis C; they often may be surprised that they were infected given that, as I mentioned earlier, the hepatitis C typically has no symptoms. Then, after educating about what is the infection, what are its natural history and long-term complications and briefly going through the management, one of the things that is critical in understanding for patients with chronic hepatitis C is what stage of liver fibrosis that they have. We are very fortunate that we have ultrasound-based technology called transient elastography that provides really a point of care assessment of the stage of liver fibrosis to determine whether or not, particularly the patient who has cirrhosis, because once a patient has hepatitis C associated cirrhosis, it’s really crucial to do a liver cancer screening regularly in these individuals to make sure that they are referred to a gastroenterologist for endoscopy for management of potential esophageal varicies and for evaluation of liver complications like ascites, hepatic encephalopathy, variceal bleed, and then we do a fairly thorough laboratory assessment to evaluate the type of hepatitis C they have, which is also called a genotype and subtype testing liver synthetic function, liver aminotransferases, other hepatitis A and B serologies, given that if you get hepatitis A or hepatitis B in the setting of hepatitis C, your risk of fulminant liver disease is much higher and assessments of HIV co-infection. Then, we work quite closely with our referring healthcare providers to discuss any potential medication changes that may be required for going forward with the direct-acting antiviral treatment and any other long-term monitoring that may need to be done. That gives you some sense of how we are managing the patient care. With regards to your question, “What does treatment look like today?” we are very fortunate that we are currently in the direct-acting antiviral treatment era where hepatitis C treatments are typically one pill once a day for anywhere from eight to potentially up to twenty-four weeks, depending on patient parameters, but I would say for the most part it’s all oral once daily, typically about 12 weeks and very, very tolerable with cure rates that are approximately 95%. So, these new treatments that really came out in late 2014 have revolutionized the treatment of hepatitis C, and as a result really have made hepatitis C as a public health problem potentially eliminable. Yeah, that’s really amazing. I think you did a really helpful job of explaining the nuances and how hepatitis C is approached in your institution and different resources that you have as well as testing and also treatments. My next question is about the role of specialists and primary care physicians. You did talk a little bit about how you all use nutritionists, social workers, and other care providers. Can you just make a statement about primary care physicians and maybe how you see their role in regards to caring for patients with hepatitis C? Primary care physicians really have an incredible opportunity in the management and treatment of hepatitis C. I think the bulk of treatment and management now is being performed by specialists, particularly infectious disease physicians like myself and gastroenterologists, where the patients are often referred from primary care physicians after screening hepatitis C antibody, often confirmatory hepatitis C RNA testings, and then the specialists like myself will perform all of the interdisciplinary things that we talked about, but one of the things that is clear, if we’re ever going to eliminate hepatitis C as a public health problem is that we really need to build the capacity for treatment, because with anywhere from 2.7 to as high as 5 million chronically infected individuals, we simply don’t have the capacity here in this country to be able to treat everyone, and so what one of the Institute of Medicines’ recent recommendations in their report on elimination of hepatitis as a public health problem that was made, one of their recommendations was for the Infectious Disease Society of America and the American Association for the Study of Liver Diseases to partner together to improve and build capacity for hepatitis C treatment with primary care providers and their organizations. I think it’s pretty clear that the direct-acting antiviral regimens are simple and they have few toxicities. I think that for primary care physicians getting involved in hepatitis C treatment and management is an opportunity for them to learn a new skill, reduce the need for referrals, and from the specialists’ standpoint, it’s our opportunity to improve teaching and to potentially reach more patients, so I think it’s a real win/win for both specialists and primary care. Certainly, there have been some pilot programs around the country that have really begun to utilize this kind of approach, particularly the so-called Echo Program, which is the extension for community healthcare outcomes where via telemedicine specialists, GI and infectious disease physicians, have coordinated hepatitis C care with primary care physicians, so I think that the role of the primary care physician probably is going to evolve over the next several years as we build capacity for hepatitis C treatment across the country, which can afford an enormous opportunity for our primary care physicians. If you are just turning in, you are listening to Medical Breakthroughs from Penn Medicine on Reach MD. I’m your host, Dr. Jennifer Caudle and with me is Dr. Vincent Lo Re. Today we are discussing hepatitis C. So that’s very interesting, your comments about the connection between primary care physicians and providing comprehensive care for patients with hepatitis C along with specialists. Can you now talk a little bit about research? Can you talk to us about what some of the latest research is and maybe a little bit more about the path to a comprehensive cure? Much of the research over the past five years has really focused on new antiviral therapies for chronic hepatitis C, and while we’re still getting some newer direct-acting antivirals that are in phase 3 studies, which will likely be released in the middle to the end of this year, much of the new research has focused on enhancing ways to improve access to hepatitis C treatment and particularly given the costs of the hepatitis C therapy, some of the research has identified restrictions in their access and potentially even some disparities in their access, particularly those who are covered through Medicaid compared to Medicare or commercial insurance, so I think one of the things we’ve been seeing is how to improve each of the steps in the continuum of hepatitis C care or cascade of hepatitis C care so steps to improve diagnosis, linkage into care in addition to initiation in and access to hepatitis C treatment. There have been a number of studies, I think, that are going to really be forthcoming to improve each of those steps in the continuum of care to improve, particularly diagnosis and access. I think these strategies are going to be tested continually in the future. I think another active area of treatment is we’re seeing really an uptake in viral hepatitis, particularly hepatitis-C related liver cancers. I think new therapies for hepatocellular carcinoma are going to be forthcoming and certainly are going to be important in the future. One of the things that we unfortunately do not have now, unlike as with hepatitis B, is we don’t have a hepatitis C vaccine, and I think if we really want to have a roadmap, a path to a comprehensive cure, I think hepatitis C vaccines are going to be important to prevent new infections and potentially promote elimination. I think we all would agree with that – all of those points, in particular about the vaccine, definitely would be very important and helpful. We talk about treating hepatitis C and the treatments that are available, let’s shift a little bit to liver transplantation. When should a liver transplant actually be considered? The move towards direct-acting antiviral therapy – the goal is in the long term to try to prevent the morbidity and the complications associated with chronic hepatitis C associated liver disease. I think that’s really one of the reasons to push for wider access to antiviral therapy, but the people who we currently consider for liver transplantation are people who have end-stage liver disease, so particularly people who are identified as having decompensated cirrhosis, so clinical complications of cirrhosis, in particular, the presence of ascites, spontaneous bacterial peritonitis, gastro or esophageal variceal bleed, and the presence of hepatic encephalopathy, and certainly patients with liver cancer, or hepatocellular carcinoma may also be considered for liver transplantation. So, this is why, in particular, when I go back to how do we manage hepatitis C, the question that you asked me earlier, staging patient’s hepatitis-C associated liver fibrosis is really crucial because those who have cirrhosis are at the highest risk of decompensated liver disease and liver cancer, and so monitoring those regularly to identify as quickly as possible, are those people who really should be referred for a liver transplant evaluations once they develop decompensated liver disease or concern for hepatocellular carcinoma. Do you have any final thoughts about hepatitis C, anything that we haven’t covered or you’d like to go over again? Recent data suggests that viral hepatitis kills more people worldwide every year than any other infection, including HIV as well as road traffic injuries, and diabetes, and despite being the seventh leading cause of death in the world, it consumes less than 1% of the NIH research budget and it really has been flying under the radar. It’s really been surprising to me how relatively little attention viral hepatitis has garnered. I would just conclude by saying given all the recent advances, particularly in the treatment, hepatitis C is now curable with short and easily tolerable courses of treatment, and it’s been shown to be cost effective. I think really these new direct-acting antiviral treatments have been game changers for this field, and I think my hope would be that we really improve diagnosis in particular because if you can’t diagnose patients with 50% unaware and undiagnosed, you’re never going to have an impact on preventing hepatitis C related morbidity and mortality and potentially even transmission of infections. Well, Dr. Lo Re, thank you so much for being with us today and sharing your thoughts about hepatitis C.
Well, I appreciate the opportunity. Thank you Dr. Caudle. 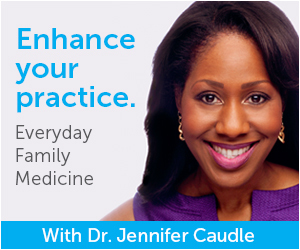 I’m your host, Dr. Jennifer Caudle, and thank you for listening. 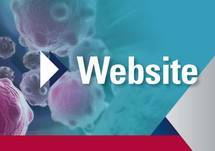 You’ve been listening to Medical Breakthroughs from Penn Medicine. To download this podcast or to access others in the series, please visit ReachMD.com/Penn and visit Pennphysicianlink, an exclusive program that helps referring physicians connect with Penn. 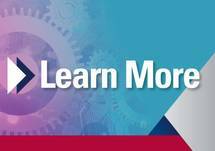 Here you can find education resources, information about our expedited referral process, and communication tools. To learn more, visit www.PennMedicine.org/physician link. Thank you for listening. 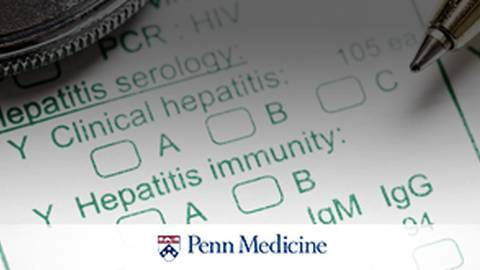 Dr. Vincent Lo Re discusses current screening guidelines for hepatitis C, long-term patient care, and the current landscape of treatment options. In 2014, the CDC estimated a total of 2,194 cases of acute hepatitis across 40 states and estimates that 2.7-3.9 million people in the United States have chronic hepatitis C. Of every 100 persons affected by the disease, 75 to 85 will go on to develop chronic infection, 60 to 70 will go on to develop chronic liver disease, 5 to 20 will go on to develop cirrhosis over a period of 20–30 years, and 1 to 5 will die from the consequences of chronic infection (liver cancer or cirrhosis). Joining our host, Dr. Jennifer Caudle, is Dr. Vincent Lo Re, Assistant Professor of Medicine and Infectious Diseases and Epidemiology at Penn Medicine. Dr. 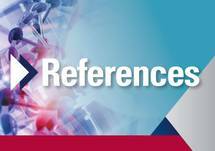 Lo Re discusses the current screening guidelines and recommendations regarding hepatitis C, long-term patient care, and the current landscape of treatment options.